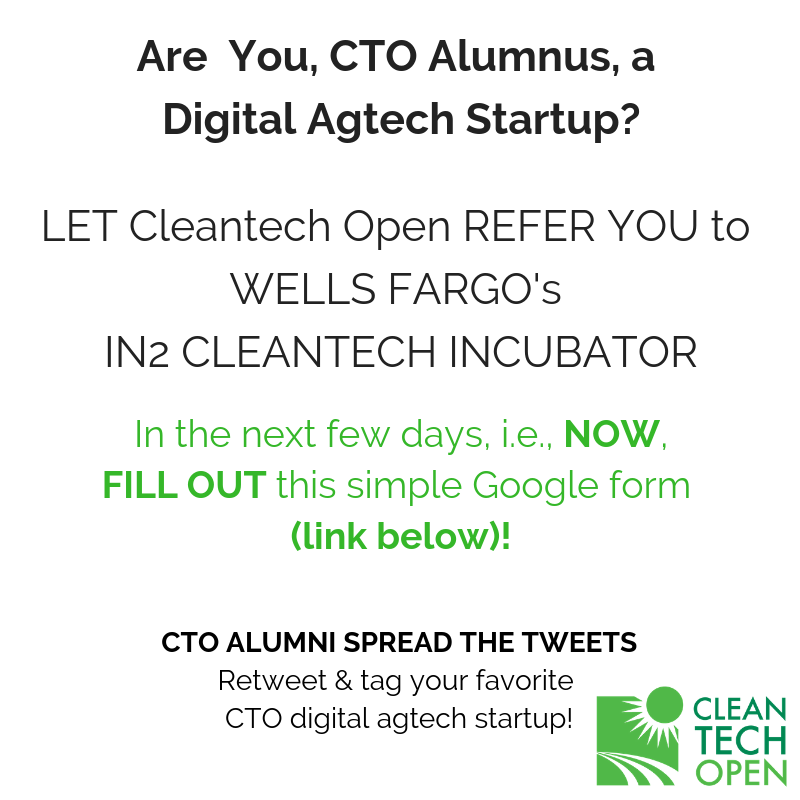 Here's an opportunity for CTO Alumni companies working in DIGITAL AGTECH! Our partner IN2 / NREL / Danforth Plant Science Center incubator is seeking companies in three digital agriculture areas. Ultimately 5 companies will be awarded up to $250,000 each in cash and services for the program beginning April 2019. In these three cateogories, CTO digital agtech Alumnus applicants can be anywhere from bench scale through prototype to commercially ready. Any CTO alumni company in good standing is eligible to be referred by us, Take two minutes to fill out form below! Or to forward to agtech you know! Please Apply by Thursday Nov 15th.